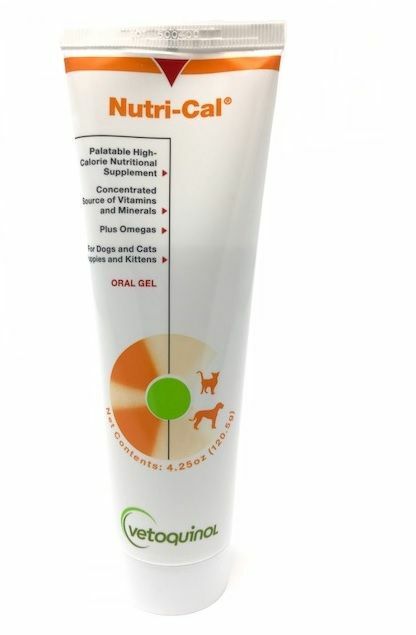 Nutri-cal is a high Calorie nutritional supplement for dogs and cats. 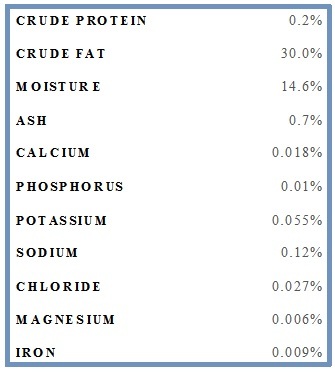 It provides an added source of energy for hunting and working dogs. 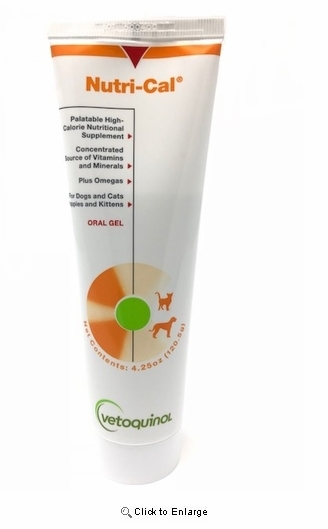 Also use in pets that are finicky, debilitated and/or aging. Contains Omega-6 and Omega-3 fatty acids. Convenient oral gel presentation. INGREDIENTS: Corn syrup, soybean oil, malt syrup, purified water, fish oil (a source of Omega 3 and Omega 6 acids), cane molasses, sodium propionate, hydrolyzed collagen protein (a source of amino acids), potassium sorbate, silicon dioxide, dl-alpha tocopheryl acetate (vitamin E), xanthan gum, magnesium sulfate, manganese sulfate, ferrous sulfate heptahydrate, cyanocobalamin (vitamin B12), thiamine HCI (vitamin B1), niacinamide (vitamin B3), dexpanthenol (vitamin B5), pyridoxine HCI, potassium iodide, vitamin A palmitate, folic acid (vitamin B9), riboflavin (vitamin B2), and vitamin D3.